Hannah B. Salter and The Cordone Law Firm were featured in a USA weekly article entitled “Do All Lawyers Hate Their Job? Hannah B. Salter had this to say about the subject. Slip-and-fall and trip-and-fall accidents in Louisiana are, in some ways, somewhat similar to those types of cases in other states. In order to obtain compensation for your injuries, you need proof that the person or entity you’ve sued either caused the problem, knew about the problem (and did not act), or reasonably should have known about the problem (and did not act). Getting the evidence you need to succeed in your case is vitally important because a slip-and-fall or trip-and-fall injury can be serious and can have life-altering effects on you. To make sure that you are amassing the proof you need, be sure you have retained the services of a knowledgeable New Orleans premises liability attorney. One nearby slip-and-fall case that demonstrates what it takes, in terms of proof, was the lawsuit filed by D.F. D.F. was a shopper in a supermarket in Mandeville when she slipped in Aisle 12 on a clear liquid substance, suffering injuries as a result. When you go to a store, you probably presume that the store you’ve entered is safe for shoppers in all relevant areas. Unfortunately, that isn’t always the case. In many personal injury actions, expert witness evidence can be an essential part of your case. The difference between getting your experts in and having them excluded may make the difference between success and defeat. This is one of many places in which seasoned New Orleans injury counsel can help you put together a strong and persuasive case by helping you ensure that your expert witness evidence gets in front of your jury. An example of what is (and is not) required in order to get expert opinion evidence admitted was on display in the case of Blake and Courtney. The pair were a couple who had a termite problem in their home. They retained the services of a pest company to deal with their termite problem. After the company treated the home for termites, the couple and their children allegedly began experiencing headaches, nausea, dizziness, and confusion. When you go to court in a personal injury lawsuit, you want to make sure you’re giving yourself every chance to obtain a successful outcome. Getting to that point may involve employing many different resources, including the use of an expert witness to provide opinion evidence that further strengthens your case. Whether your case needs an expert and, if so, which kind of expert is needed may be profoundly important questions. By retaining an experienced New Orleans premises liability attorney, you can get the knowledgeable answers you need to these and other questions as you navigate the legal process. One recent premises liability case from the federal Eastern District of Louisiana (Case Number 2:16-cv-00383) provided a useful example of what you do (and don’t need) from an expert witness. The injured plaintiff, Tobie, was headed to a post office in Metairie when her accident happened. She slipped and fell on the sidewalk, suffering substantial injuries as a result. In fact, the fall was so bad it caused her to suffer a herniated disc, a concussion, and a tear in her shoulder that required surgery to address, according to a Louisiana Record report. These injuries led her to file a federal lawsuit to obtain compensation for her harm. 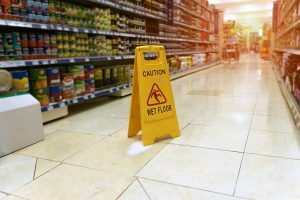 Achieving successful results in premises liability cases (like slip-and-fall cases and trip-and-fall cases) requires several things in Louisiana. You have to have proof that the property owner knew or should have known about the hazard, and you may have to work to defeat an argument that the hazard was too “open and obvious” to create liability and allow you to recover compensation. In all of these areas, it helps to have a detailed understanding not only of the facts of your situation but of the law as well. This is why it pays to make sure you have legal representation from an experienced injury attorney. A recent real-world example of a successful Louisiana premises liability lawsuit was the case of Cora, a high school student. Cora allegedly tripped as a result of a flaw in the sidewalk that ran in front of her school. According to the student, the sidewalk shifted beneath her, which caused her to lose her balance and fall. The injury caused the student to experience pain in her right foot, leg, knee, and hip. The student’s parent sued on her behalf. Any new car you buy is required to be equipped with airbags according to federal regulations. But, airbags haven’t been around all that long. Airbags were first introduced in the 1970s with limited success and broad based commercial use of airbags didn’t start in the market until the late 1980s and early 1990s. Therefore, relatively speaking, airbags are somewhat modern technology.